Mexico is an elimination dice game. It can be played by any number of players but it is ideal to have three or more. Mexico requires the use of two dice and players must agree on a fixed number of rounds before starting the game. The goal of the game is to be the only player left standing; players are eliminated when they run out of turns to participate in the next rounds. As the game is fairly simple and easy-to-follow, it is often used for gambling. There are also several variations of this popular dice game, although most variants follow different mechanics. I have Greek friends who often play this game, though they refer to it as “acey-deucey”. Mexico is a pretty straightforward game with simple mechanics, which is why it has gained popularity as a gambling game. Before the game, players must agree on the number of rounds. Each player rolls one die and whoever rolls the highest gets the first turn followed by the player to his left or right. The goal of the game is to get the highest roll or at least, avoid getting the lowest roll. In a regular game of Mexico where money is not involved, every player is given an extra die (apart from the two dice used for rolling). The die marks the number of lives the player has in every turn. At the beginning of the game, the die is placed with the “6” symbol facing up. The lowest roller loses the round and therefore, loses a life. Every time a player loses a round, the die is rotated to the next lower number to show how many lives he or she has left. In a game of Mexico where money is involved, the amount is agreed on beforehand. Each player starts with a certain amount of money, which is then split into the number of rounds. The lowest roller must put a portion of his money in the pot. The losing player in the last round gets to take the first turn on the next round, regardless of whether he or she rolled last. When a player no longer has lives or no longer has money left to add to the pot, he or she is eliminated from the game. Whoever takes the lead spot gets the privilege of rolling the dice up to three times, which then determines how many times the next players are allowed to roll. It is worth noting, however, that only the last roll counts as a turn. The values of the two dice are combined to determine the score. However, the face value is not used but rather, the two values are combined to create a two-digit number. For example, a player rolls 3 and 6, the score that player receives is 63. This is because the higher value is designated the tens column spot and the lower value is designated the ones column spot. This rule applies to all number combinations provided that it is a mixed roll (i.e. two different values). When a player rolls a double (e.g. 6-6, 5-5, 4-4), the player is given a higher score. A double, therefore, ranks higher than a mixed roll even if its face value is lower. The highest roll a player can get is a 2-1, which is higher than any double or mixed roll. A 2-1 roll or twenty-one is the highest possible roll in the game and is called “Mexico”. The lowest possible roll is 3-1. In the event that the lead roller manages to roll a 2-1, the turn is passed unto the next player even if the lead roller still has rolls left. In effect, the second player becomes the first player by default and is allowed to determine how many rolls the subsequent players can take. This is because the lead roller is automatically out of danger because his last roll was already a Mexico and is the highest possible score in that round. In the off chance that the next player also rolls a Mexico, the turn is passed on to the next player and so on. If a player manages to roll a 2-1 but the lead roller fails to do so, the roll is not considered a Mexico but the scoring remains the same. Therefore, a player who manages to roll a 2-1 still has a high chance of winning the round even if he does not assume the role of lead roller. If money is involved in the game, every time a player in one round rolls a Mexico, the stakes are doubled. This means that whoever loses the round will have to double the amount of money he puts in the pot for that round. If more than one player rolls a Mexico in one round, it is up to the group to decide whether they would want to add another unit to the stakes to match the number of players who manages to roll a Mexico (i.e. if two players roll a 2-1 in one round, the stakes are tripled and so on). This should be determined before the game starts so that the rules are clear. In some versions, if two players get rolls that are equally low, both lose a life each and if several players roll a Mexico, the loser loses two lives. The best way to play Mexico is live with friends sitting around a table with a pair of dice. There is no actual digital version of the dice game Mexico online or on mobile platforms that I’m aware of but there are digital versions of dice that you can use for playing Mexico. Just set up the rules of the game yourself. http://www.roll-dice-online.com/ offers a venue for players to roll digital dice. You can set the number of sides, the number of dice to roll, and the number of rolls on the site. There are also various mobile applications downloadable via the Google Play store and Apple App Store that allow you to use digital dice in lieu of actual dice. Although, nothing will still beat physically rolling actual dice, as it makes the game much more fun and exciting. Strategizing in a game of Mexico can be very technical and involves having to calculate the odds of the results. Fortunately, you can find a table of median rolls on this link https://en.wikipedia.org/wiki/Mexico_(game). It can be rather stressful to have to calculate the odds for each round especially since rolling dice involves mostly luck than strategy. Although, knowing the odds and median results can be helpful in determining whether you should roll again in cases where you get up to three rolls. The first player or lead roller has a bit of advantage as he or she determines how many rolls each player can get, which can increase the odds of getting a lower roll. The table of Strategies and Odds shows that there is a higher chance of getting a low roll if the dice is rolled up to three times. This is why it is recommended to stick to a roll even if it isn’t your ideal result, as the objective of the game is simply to avoid getting the lowest roll, not necessarily always the highest roll in the round. 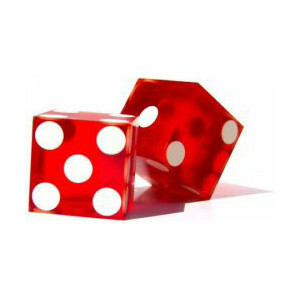 Therefore, an average roll is better than risking getting a much lower result by re-rolling the dice. The more rolls a player takes, the higher his risk of getting a low result. You can choose to only roll once even if the lead player rolls twice or thrice if you are already satisfied with the results. In fact, unless your first roll is really bad, it is recommended that you do not risk rolling again, as you can possibly end up with an even lower result. Mexico is a pretty fun game and since it only requires dice to play, it can be played anywhere. Since the mechanics are fairly simple, it’s quite easy to teach the game to new players provided that some of the additional rules are properly determined before starting the game.